We're happy and very satisfied with Bickford of Champaign. The staff and the food are really good. They seem to have a lot of staff who check on my uncle pretty regularly. They give him prescriptions, bathe him, and help him change his clothes. The food is really good; every time I've eaten there, I really liked it. It's a smaller place, and that's what I liked about it. There are only 14 or 15 people who come to a meal, so they get lots of attention. This place is smoke and mirrors. I would NEVER entrust someone I loved to them ever again. We did a surprise visit and were appalled. We pulled her out the next day without hesitation. My grams was being served coffee which she wasn’t allowed to have for health reasons and they knew that. Her socks hadn’t been changed in I don’t know how long they were heavy they were so full of dead skin. Her teeth hadn’t been brushed in again I don’t know how long but a mouth should never smell like that. Her depends were to small and no one notified us to change her size. Her legs were swollen from not being elevated enough. They were supposed to encourage her to walk and she was just left in a chair all the time. And to top it all off she had such a bad UTI you could smell it standing beside her. Her condition they allowed her to live in brought me to tears. We took her to a doctor the next day to confirm and clear up her horrible infection. If you DONT CARE at all about your loved one send them here. It “looks” nice and they put on smiles in front of you but they DO NOT take care of your loved ones. BE WARNED. The best way to get to know a community is by scheduling a tour. 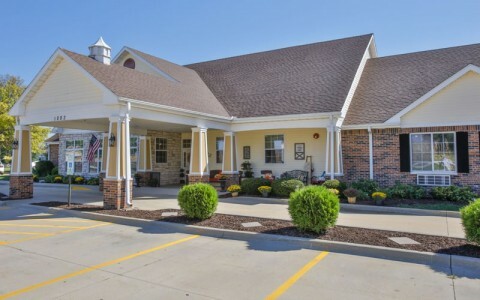 See the facilities, meet the staff and residents, and get a feel first hand what it's like to live at Bickford of Champaign Assisted Living.